The study of anatomy should not just be about studying muscles. It should also include figure drawing, gesture drawing and life drawing classes. Go to museums and draw the statues. 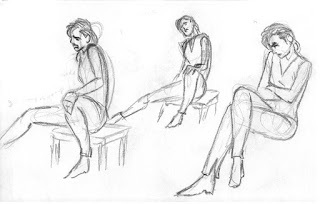 Figure drawing is something you can do anytime. You don't need to pay to do it and you go anywhere you want to do it. You can go home. Draw your family members or roommates as they watch TV, play video games, sleep, whatever. You can go to the park and do a variety of drawings. 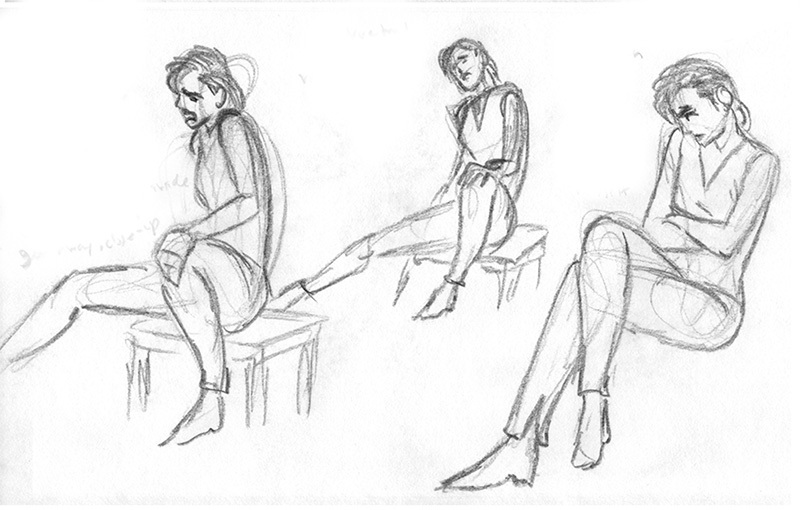 Gesture drawings for action and quick poses. Longer poses with people sitting down or lying on their blankets reading, eating and sleeping. You can do this anywhere there are people. A beach, mall, laundromat, even a movie line. It costs you nothing. This is for those who say they can't afford a life drawing class or can't find a class. read next - How Does Observing Anatomy Help Your Drawing? previous - Should I be Afraid of Drawing Glyphs?